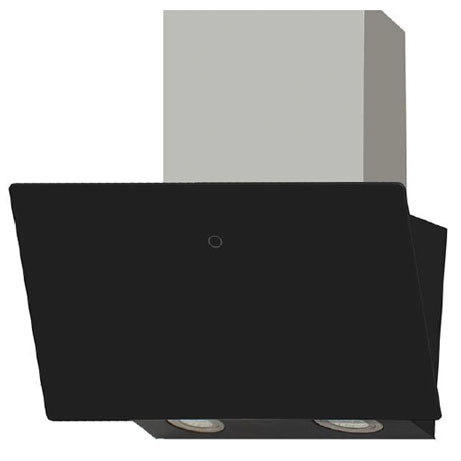 This Montpellier Slanted Glass Cooker Hood is finished in a modern black, with a stainless steel chimney section. It has touch controls which activate the LED lighting and the 3 speed settings. With a maximum extraction rate of 750m3/hr, it will ventilate larger kitchens with ease. It also boasts a 2 year warranty for peace of mind. The Montpellier 60cm Slanted Glass Hood in Black is a stylish and functional product which enhances your modern home cooking experience and provides a superior touch of class to the kitchen space. The additional features include finger touch controls, 64.4dB noise level, three speed motor, two 1.5W LED lamps, aluminium and charcoal filter, 150mm air outlet, ducting kit and an airflow rate of 750m3/h.